The year’s best event in Pompano Beach for alcohol and restaurant food sampling is the Pompano Beach Fine Food & Wine. Over 20 restaurants from the Pompano Beach area cook up their best dishes for you to sample and the beverage samples pour freely as well. 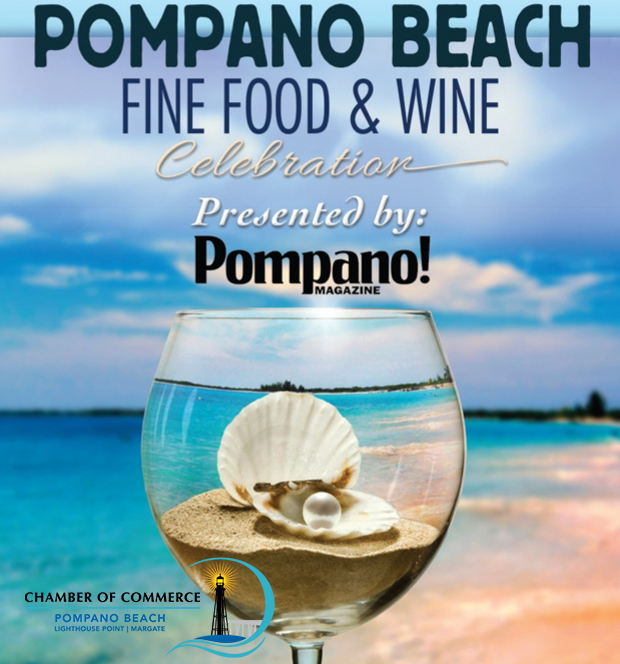 It’s the annual Fine Food & Wine Celebration presented by Pompano! 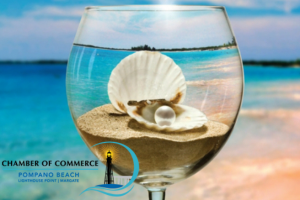 Magazine and produced by the Pompano Beach Chamber of Commerce, held this year on Thursday, April 11th from 6:30 – 9:30 P.M. In the past, the event has always held in great locations, like the Hillsboro Beach Country Club right next to the Lighthouse. This year, the home for the event may be the best yet overlooking the ocean at at the MARRIOTT RESORT & SPA POMPANO BEACH on A1A in Pompano Beach. The fun-filled evening will take place in the Marriott’s Grand Ballroom which opens onto the OUTSIDE PATIO and POOL all overlooking the beach and ocean. The event begins with the “Champagne Fountain and Sushi Reception.”, More than 20 Upscale Restaurants will provide delicious tastings, an array of Fine Wines, Liquors & Craft Beers, plus Desserts & Coffees. The final list of participating Pompano Beach restaurants is being finalized. Last year, we reported in Pompano! Magazine that participating restaurants included: BEACH HOUSE POMPANO BEACH, TRATTORIA NOVELLO, CASA CALABRIA, CAFÉ MAXX, ANOTHER PERFECT PARTY, AROMA JOE’S, JOHN KNOX VILLAGE, BENSON’S BAKESHOP, BOBBY RUBINO’S, COCCADOTTS CAKE SHOP, DELACASEAS CAFE, HOFFMAN’S CHOCOLATES, MARRIOTT POMPANO BEACH RESORT & SPA, LEGENDS TAVERN & GRILLE, LIGHTHOUSE POINT YACHT CLUB, MIAMI MASALA, PUMP SUSHI & THAI CUISINE, CHEF LENORE NOLAN RYAN CATERING & COOKING SCHOOL, SEAWATCH ON THE OCEAN, SETTE BELLO, SICILIAN OVEN, SPANX THE HOG, YAKUZA. You can read the full 2018 event preview here. We will have the new list of 2019 participants next week on our website and Facebook page. And, we will offer a comprehensive review of the Pompano Beach Fine Food & Wine Festival in the April edition of Pompano! Magazine. The event also includes Silent & Chinese Auctions with great prizes, and a Tap Snap photo booth. You’ll even be able to dance Poolside to the live entertainment! The attire: is Tropical Elegant. TICKETS: are $75.00 and the event usually sells out quickly so you should get your tickets soon. You can get tickets at the chamber’s website or call the Chamber Office at 954.941.2940. In addition to all the fine food and wine you can sample, your ticket gets you Complimentary Valet Parking, a Souvenir Wine Glass, Wine Plate and Program. This is one of the most fun things to do in Pompano Beach and a night all foodies will enjoy. This story was prepared by our Pompano Beach news desk with additional event info provided by event websites.